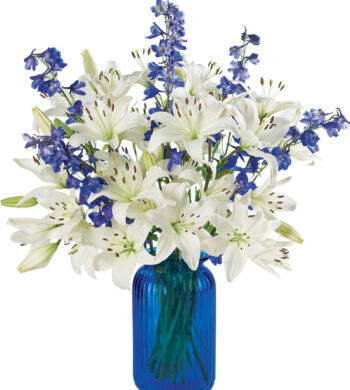 Infused with vitality, these blooms bring life wherever they go, to friends, family members or coworkers. 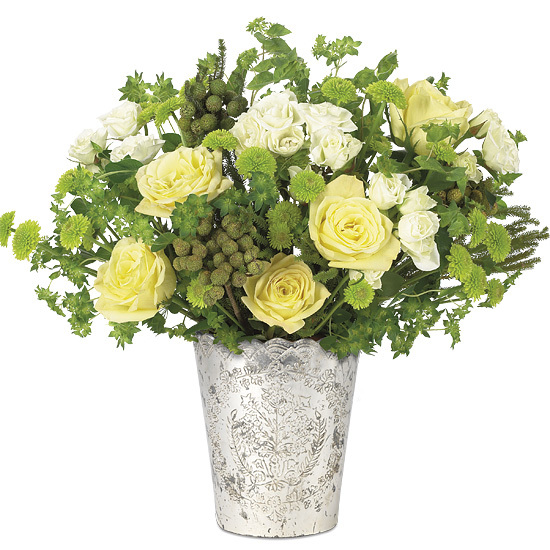 High & Yellow roses, White Majolica spray roses, and green Yoko Ono button mums are nestled amongst wispy bupleurum and silver brunia. 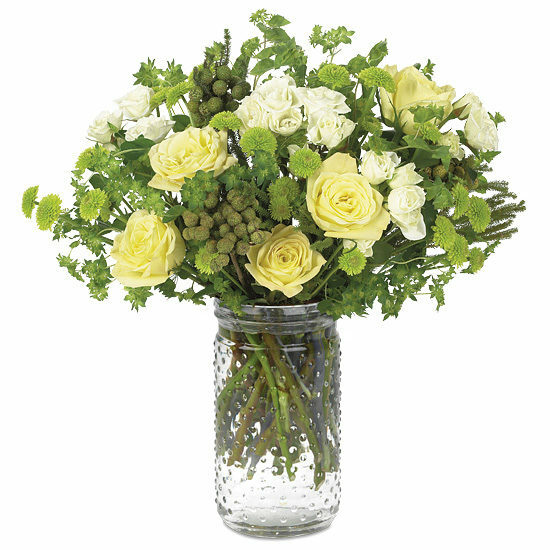 Offering an attractive contrast to their springy disposition, the embossed, silver-pressed glass vase boasts a comforting kind of vintage appeal. 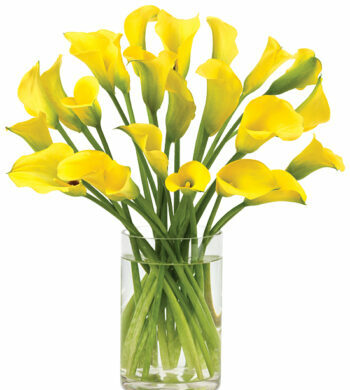 An item people like to display, it’s often used as a candle holder after the flowers fade. Remove all foliage that will fall below the water line. Remove the “guard petal” on each rose – this is the outermost petal left on to protect the bud during shipment. We recommend cutting stems underwater for best blooming results. Some varieties of flowers like bupleurum may look a bit tired upon arrival. Don’t despair! They’re healthy – just thirsty…they will rehydrate and perk up within 24 hours. IMPORTANT! Always add fresh water daily. Trim away spent blossoms as your bouquet ages and rearrange if necessary.